The Wolverine F2D film converter is a cool tool for classic film photographers ready to make the jump to digital. This film converter makes quick work of all your 35mm film negatives and slides, saving them to SD card for digital archiving. It’s fast, inexpensive, and offers some unique features that other scanners don’t. But is it for everyone? Here’s the rundown on the Wolverine F2D. What’s good about the Wolverine F2D Film Converter is that it’s different. When most of us think of a “photo scanner,” we think of a bulky piece of computer equipment destined to gather dust next to the printer. The Wolverine F2D is a completely different monster. Cute and compact, this device is shaped like a little red mailbox. It looks more like an automatic pencil sharpener than a piece of photo conversion equipment. Don’t let the cutesy looks fool you; the Wolverine F2D still works hard. This device converts 35mm film negatives and slides into 5MP digital (JPEG) images, and is compatible with both PC and Mac. It also has an TV-Out connection, if you’re into old-school slide shows. At just 5 seconds per conversion, it won’t take long to archive that old family footage – even if you’ve got years’ worth. Last but not least, the Wolverine F2D features a handy 2.4” LCD screen so you can see what you’re scanning. What’s not so good about the Wolverine F2D is that it doesn’t quite deliver on its features’ promises. Yes, it contains a TV-Out output, but doesn’t come with a cable to connect the scanner to your television. This would have been an inexpensive and thoughtful item to include in the box, but instead it’s noticeably absent. The Wolverine F2D saves its scans to an SD card, making it easy to use when you’re not near a computer. But like the television output, there’s no SD card included. This isn’t a big problem if you already have SD cards on hand, but the inclusion of an SD card (even one with small storage capability) would have made for a more complete package. 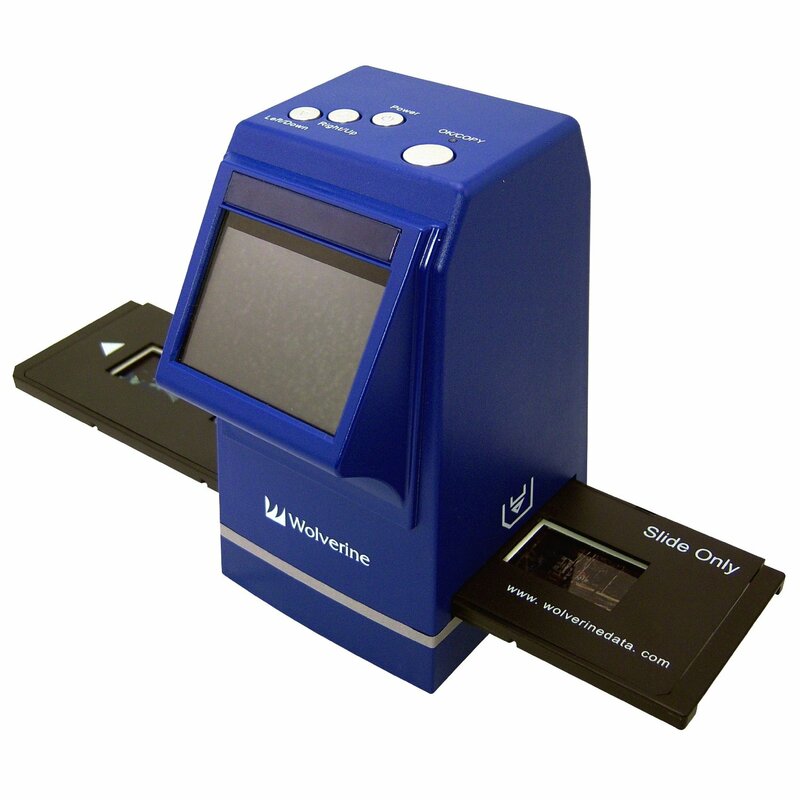 Overall, the Wolverine F2D converter offers unique features, but it’s designed for a unique customer. 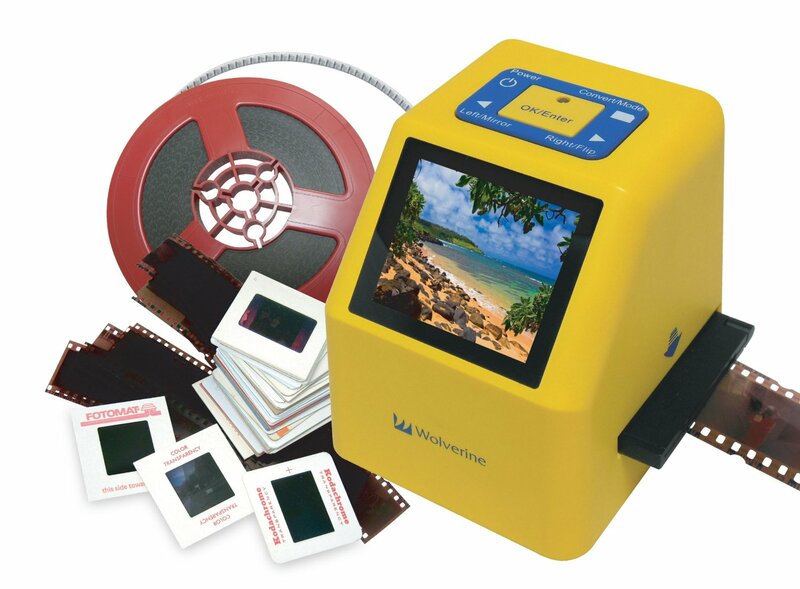 The Wolverine F2D is the perfect tool for the average person who has a box of old family slides laying around that they would like to archive digitally without tying up many hours of their time. 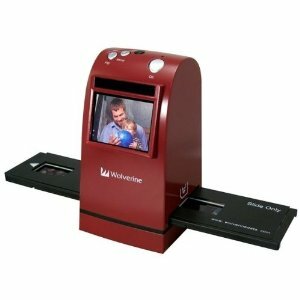 But if you’re a serious photographer or have plans to enlarge and print of your scanned images, then you will be happier with a photo and slide scanner. There are several photo scanners capable of scanning full-size photos and documents in addition to slides and negatives, such as the Canon CanoScan 9000F or the Epson Perfection V600. Scanning your slides and negatives with a photo scanner will take longer than using the Wolverine converter but you will have better image quality. In the end, it all comes down to quality and speed so think about what will suit you best.